The rumour is everywhere but not yet verified. Do you think it will be better if they integrate the two sets? Give me the advantages and disadvantages. Anyway, integrating two sessions to my own tiny eyes looks unrealistic to say the least. Stating the advantages and disadvantages depends on the side you are. Are you an aspirant or an undergraduate already? As an aspirant, you have nothing to loose. The only thing I feel may be lost is your convenience because the freshers will now be many. Hostels and Lecture theatres will now be Jam packed. The advantage you have is that you will no longer need to wait till around July, 2015 to resume as a bonafide student of OAU. If merging works, you will resume immediately the school is reopened. Wow! July 2015 is a long time from now. Has the merging ever been done before? and won't it make admission more strict?. Yes, July, 2015 being the earliest tho. It has been done before now. I think 2003/2004 academic session if I am not mistaken. It was also due to battered academic calendar. Oh, my mind escaped that. If merging will occur, very few will only be admitted amongst you that did the 2014 Post-UTME because they will want to be concious of the school's carrying capacity. The merging can only be benefiting if one is lucky to be admitted. Now I see. Let's wait and see what the school does. pls, wen will the cut-off be announced? Also, I had 242 in jamb and 277 in post-utme, wat is d possibility d@ i will be admitted for medicine? Congratulations on your successes in both exams. I don't have a firts hand information on when the cut-off points will be announced at the moment. Your average point is 259.5 and no one can tell what the cut-off point for Medicine Department can be this year. I urge you to remain hopeful. The cut off marks will be out before the admission list right? Please,i want to upload my waec result,which website am i suppose to do dat? WAEC result for what please? 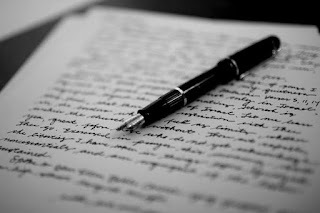 Did you write the recent Post-UTME? pls i wish to knw my chances of getting admitted,i had 223 in jamb n 244 in postume,i opted for international relations. Like I said last earlier, your chances of getting admitted into your choice course cannot be ascertained until the cut-off mark has been made public. However, the cut-off mark for International Relations last year was an aggregate score of 200. Like I said last earlier, your chances of getting admitted into your choice course cannot be ascertained until the cut-off mark has been made public. However, the cut-off mark for Computer Science & Engineering last year was an aggregate score of 250 on merit. PLS I HAD 217 IN MY putme nd 238 in my jamb nd am going for dentistry so what are my chances base on the fact that am from one of those states considered as elds(education less develope states i.e Ebonyi state) by oau.pls tell me my chances if am gonna make it or is there any other option for me? Like I said last earlier, your chances of getting admitted into your choice course cannot be ascertained until the cut-off mark has been made public. However, the cut-off mark for Dentistry & Dental Surgery last year was an aggregate score of 237.5 for ELDS. I had 274 in JAMB and 277 in post utme,what are my chances of gaining admission . @Tobi, Congratulations for your good scores in both UTME and Post-UTME. Looking a these scores, I can say you will be admitted. Your scores are pretty high for your choice department. Last year the cut-off mark for Urban and Regional Planning department was an aggregate of 209 on merit. How true is it that the admission list is out? The cut-off points is not even out, or does it means that they won't release the cut-off points? Has is happened before? Any news you hear about admission list been out is false. We will surely update you once the lists are out. 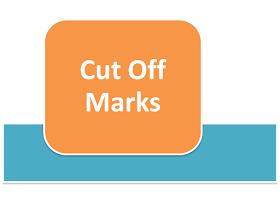 Cut-off marks are always first released before the admission list itself. You had a pretty fine score in your UTME but unfortunately you missed out narrowly in your Post-UTME. 200 is the minimum score you need in the Post-UTME to hope for any admission into OAU. Good day, pls, why is d academic calendar of oau slow? And can it be brought back to normal? It can never be 180. The cut-off marks are truly out and we are working on tabulating it now. We should publish it here before the next 24 hours. Pls. Is it true that the cut-off mark for medicine is 275.5? And what's the cut-off mark of other health courses-dentistry,nursing,medical rehabilitation and pharmacy? I heard that the cut-off mark of MBBS is 275.5, is it true? Please, what is the cut-off mark of other health courses-DENTISTRY, NURSING, MEDICAL REHABILITATION & PHARMACY? Guys, try and relax a bit. We are uploading it now. Since you are not patient enough, we will be uploading it as we compile them. pls the law cutoff mark for Ogun is 285.6 and my aggregate is 275.5 .is there any hope for me? plzz admin i had 226 in jamb n 280 in postume 4 law r deir any chances 4 mhe? Abeg o...wen will admission list come out? Please Admin, is it possible to do change of course even after the cut-off mark has been released? I just saw that i have been offered admission. Pls when will oau resume? Thanks to Mr Steve for helping me to upgrade my waec result, my result was really poor so I decided to call him, he told me what to do so I did and 2 days later my result was out and all my papers were very good'so I decided to say a very big thanks to him, if you need a helping hand in tense of upgrading or releasing of a withheld waec result is easy all you have to do is to call him on 07061089234. 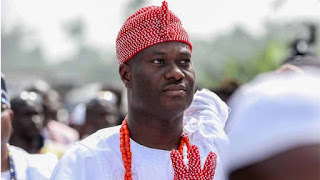 When will d registration of students that has just been offered admission commence? Please is there any news on OUA DE admission? please does any1 have info on wen d DE admission list will be out?